Chaitra Navratri 2017 begins on 1st day of Lunar calendar that is 28th March 2017. It is the same day when Karnataka celebrate Ugadi and Maharashtra celebrates Gudi Padwa. 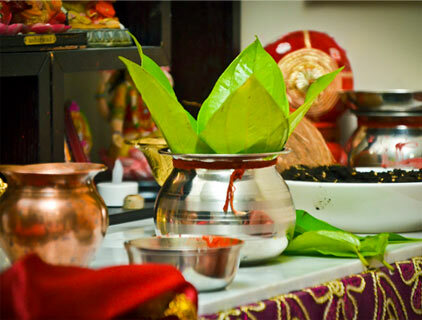 Chaitra Navratri is also known as Vasanta Navratri (owing to the commemorating of spring season/vasant ritu). The last day of Navratri is celebrated as Rama Navami (also dedicated to the birth of Lord Rama). 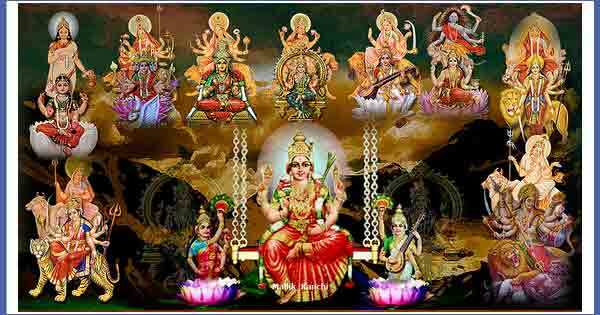 During the nine days of Vasanta Navratri, the nine forms of Goddess Durga is celebrated. Before the festival begins, the Hindu households are cleaned and an idol or picture of Goddess Durga is set up. For the next 9 days, lots of people keep fasting and perform puja to the nine forms of Goddess Durga. On the last day of the Navratri, devotees break their fast by offering food and gifts to young girls. Young girls are believed to be form of Goddess Durga and are worshipped by washing their feet and applying tilak. It is on the same day, Ram Navami is also celebrated.